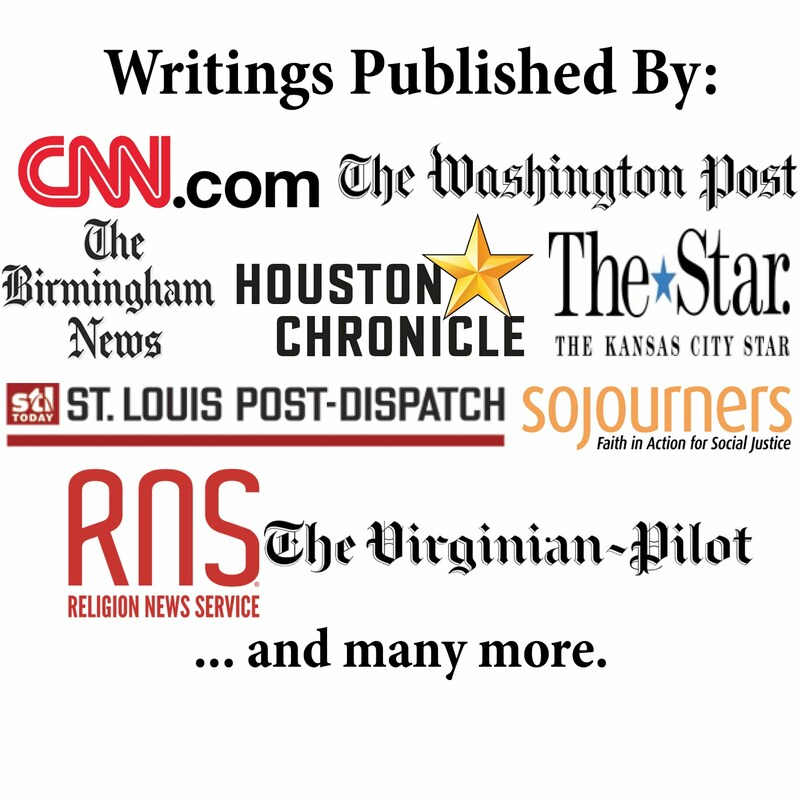 12 Days of Sacrilege—Day 12! 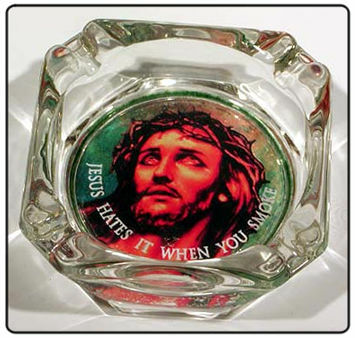 On the 12th day of Christmas you could show who is your "true love" by buying a Jesus ashtray that proclaims "Jesus Hates It When You Smoke." 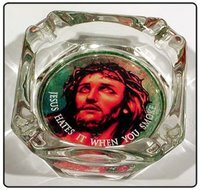 It is $12.00 and includes a sticker on the bottom that states, "use of this product may be hazardous to your health and/or eternal soul." Thanks to Word&Way for pointing this item out.